My #SweatSeries has been revived once again! This time, I’m sharing my experience with 9Round Kickboxing! Have you guys heard of it? To be honest, I had never heard of them before till now. 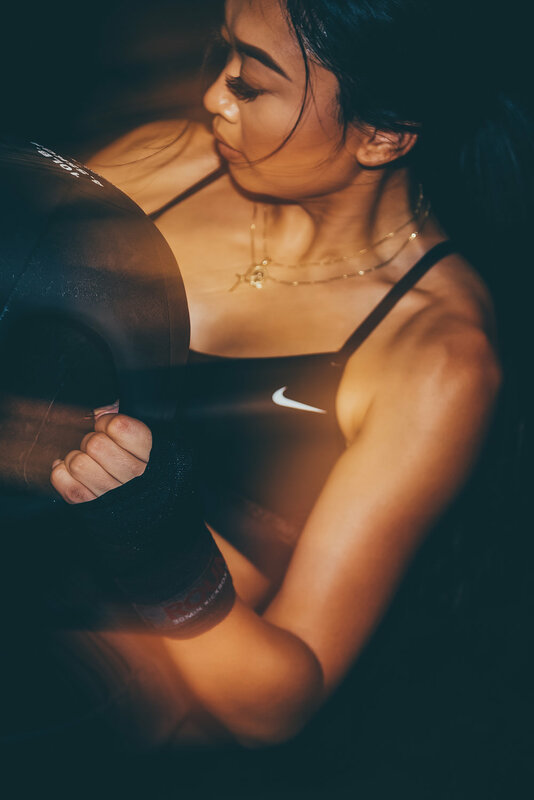 As humble and low key as they seem to have been, they have over 700 locations across the globe and continue to dominate the fitness world, one punch at a time. Working 2 full time jobs, trying to keep up with my social life and sanity, it could be hard to incorporate a scheduled workout into my daily routine. For me, the gym is easiest because I can go in whenever I want and workout. However, I love taking classes, but I hate that I have to rush to avoid traffic or leave EXTREMELY early to find parking. Living in LA isn’t the most convenient. -_- I'm so happy that I partnered up with 9Round because I was able to learn about an entirely new fitness studio that was made for ME. Although I have worked out every day for years, I’ve never monitored my heart rate. What’s dope about 9Round is that you are able to wear their PULSE Heart Rate Technology to help monitor your workout! I love to work smart and by doing so, I’m able to get my workout done in 30 minutes. Every time you visit, there’s a brand new workout waiting for you to kill it. Stations 3-8 focuses on stamina: (My favorite) Punch & kick heavy bags along with other exercises to improve your coordination, timing, conditioning and speed. I’ve suffered anxiety for years, tend to hold in my frustration and let it carry on the whole day. I found that taking out my stress, anxiety & anger with some punches really helped me move on throughout the day! Ps. You guys know it ain’t no fun if the homies can’t have none. Click HERE to get your first workout absolutely FREE. DISCLAIMER: I ALWAYS KEEP IT REAL WITH MY READERS, SO YOU KNOW ALL VIEWS & OPINIONS EXPRESSED ARE MY OWN. I'VE PARTNERED WITH 9Round FITNESS, AND THIS IS A SPONSORED BLOG POST.